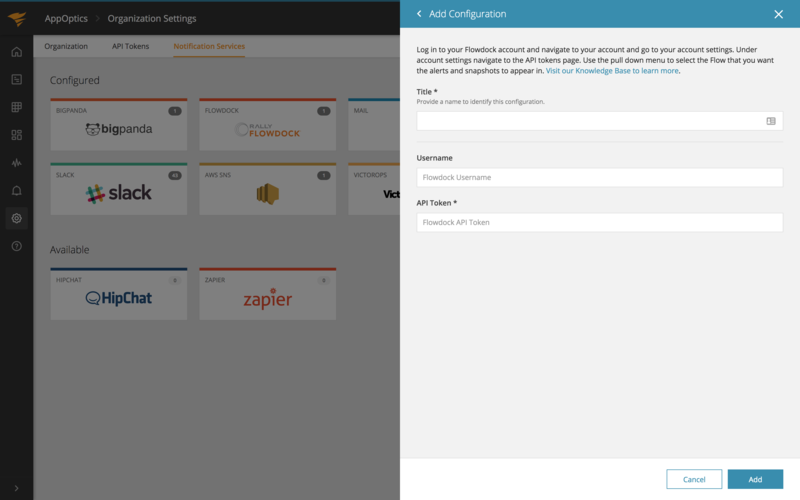 With this integration you can send alert messages and snapshots to a “Flow”. 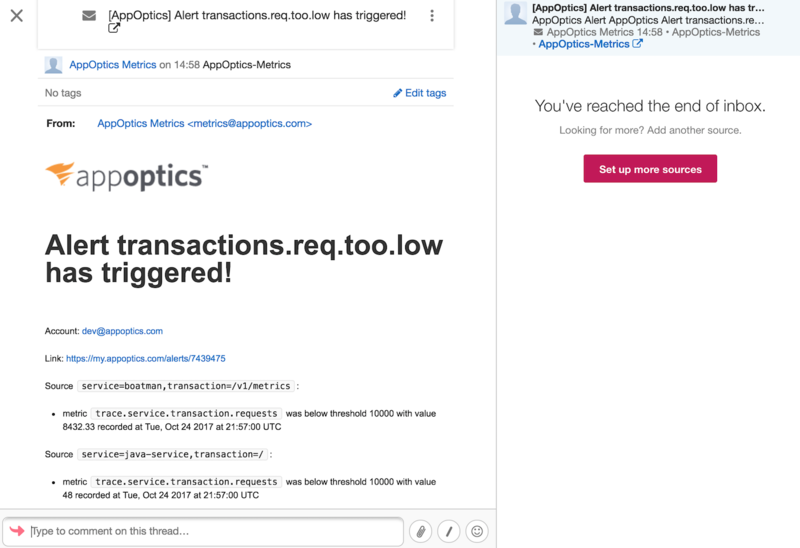 Copy the token as you will need it to configure your AppOptics account. With your Flowdock information in hand, navigate to the “Notification Services” section of your Organization page. 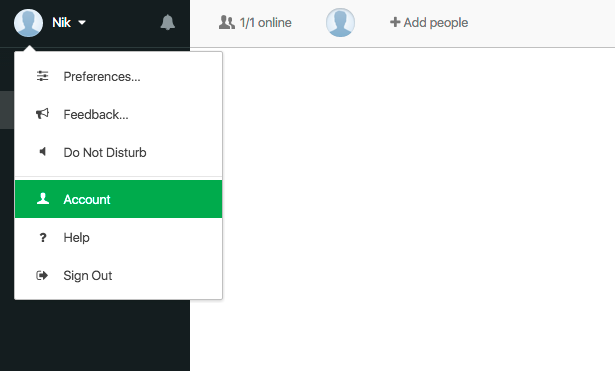 Click on the Flowdock integration, then on the “Add Configuration” button. Title: A name for the service. User name: Optional. This is whom the message will be from. 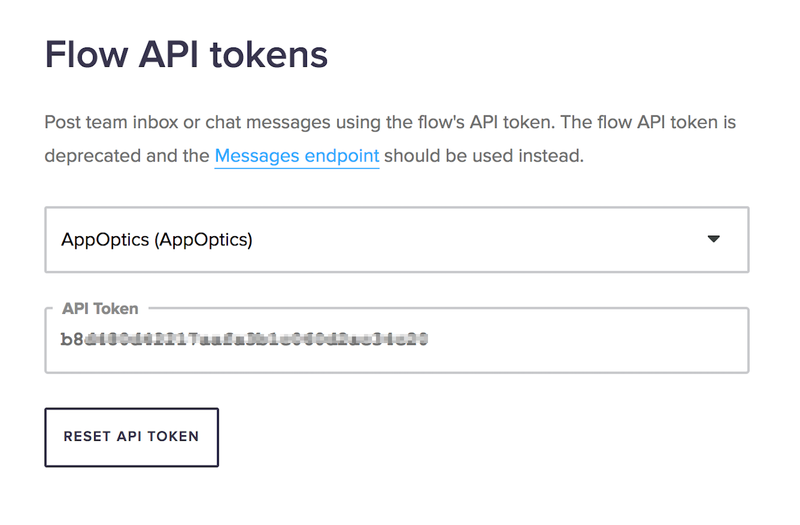 API token: Your Flow API token. After setting up the service you can tie alerts to a service destination. You can also use the snapshots feature with Flowdock.